The big day is almost upon us! 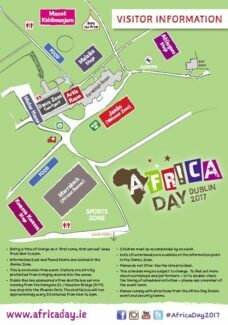 Africa Day’s flagship Dublin events takes place at Farmleigh Estate, the Phoenix Park this Sunday, 21st of May, from 11am to 6pm! 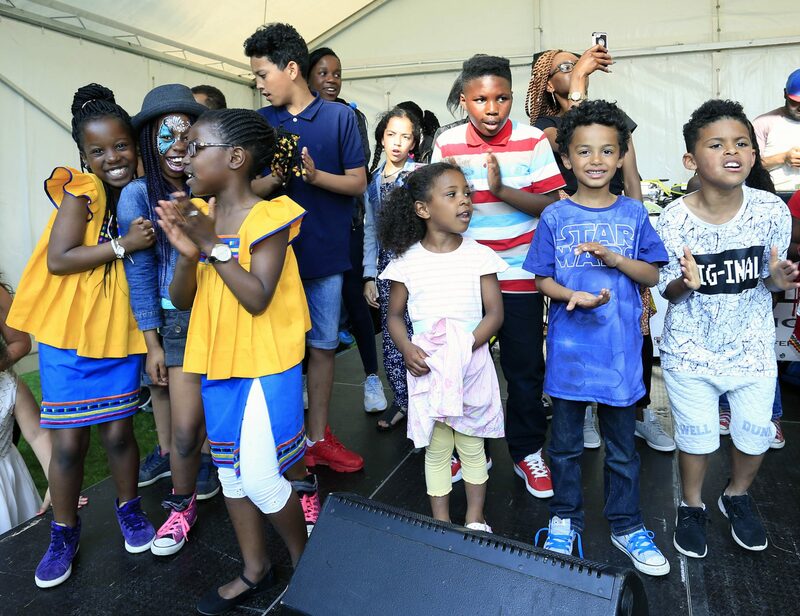 As always, it will be a busy event, bursting with family-friendly activities, music from Irish and African musicians, dancing, African fashion and much more. For any parents / guardians concerned about their children wandering off, we will have free kids ID wristbands available from the Information Point in the Jambo Zone (see map below, which will also be provided at the event). Head over to the Information Point to collect a wristband; write your name and contact number on it; and secure the wristband on your child’s wrist. That way we can call you immediately if your child wanders off and is found by a member of our Event Team, who will be identifiable by their official Africa Day t-shirts. In the unlikely event that your child goes missing, please inform a member of our Event Team. A qualified childcare practitioner will be on site at all times. We also have a dedicated member on our team who will stay with any lost children until they can be reunited with their parent/guardian.